Simplifile is a rapidly-growing, online service that connects lenders, settlement agents, and counties. Since 2000, Simplifile has grown the nation’s largest e-recording network, which has transformed the title and real estate industry. From e-recording to document sharing, collaboration, and post closing, Simplifile offers an array of services in one place to help users securely record, share, and track documents, data, and fees with ease. PROVO, Utah, March 29, 2018 (SEND2PRESS NEWSWIRE) — Simplifile, a leading provider of real estate document collaboration and recording technologies for lenders, settlement agents, and counties, announced it has reached $100,000 mark in charitable donations made through its philanthropic initiative Simplifile Cares. 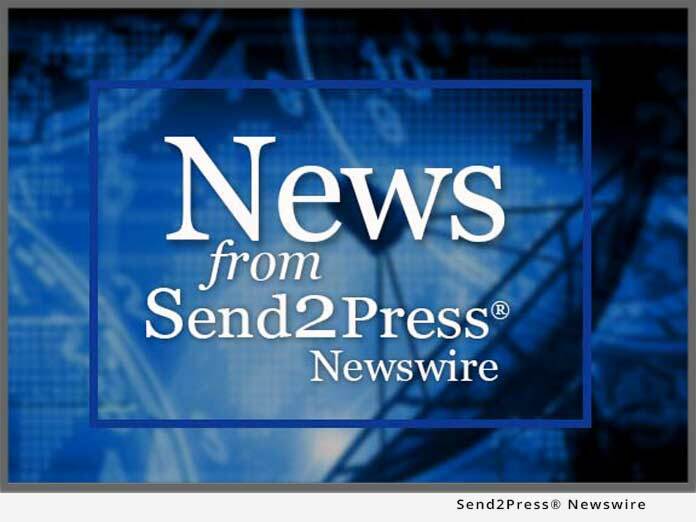 PROVO, Utah, March 20, 2018 (SEND2PRESS NEWSWIRE) — Simplifile, a leading provider of real estate document collaboration and recording technologies for lenders, settlement agents, and counties, announced that it has enhanced its Post Closing service to help lenders automate the return of trailing loan documents. This new service is designed to save lenders time on final Closing Disclosure (CD) reconciliation, eliminate time-consuming post-closing document management tasks, and provide a complete audit trail to reduce regulatory risk. PROVO, Utah, Feb. 22, 2018 (SEND2PRESS NEWSWIRE) — Simplifile, a leading provider of real estate document collaboration and recording technologies for lenders, settlement agents, and counties, announced that CUMAnet has begun using Simplifile Collaboration and Post Closing services to provide credit union clients with a centralized platform that facilitates the effortless exchange of information with settlement partners. CUMAnet intends to expand usage to facilitate electronic document recording for mortgage satisfactions. PROVO, Utah, Jan. 24, 2018 (SEND2PRESS NEWSWIRE) — Simplifile, a leading provider of real estate document collaboration and recording technologies for lenders, settlement agents, and counties, today announced that 23 additional recording jurisdictions throughout the Northeast, Mid-Atlantic, and Southeast have adopted Simplifile’s e-recording platform. PROVO, Utah, Oct. 20, 2017 (SEND2PRESS NEWSWIRE) — Simplifile, a leading provider of real estate document collaboration and recording technologies for lenders, settlement agents, and counties, today announced that 31 additional recording jurisdictions throughout the Northeast, Southeast and Mid-Atlantic have signed on to Simplifile’s e-recording platform. PROVO, Utah and HONOLULU, Hawaii, Aug. 9, 2017 (SEND2PRESS NEWSWIRE) — Simplifile, a leading provider of real estate document collaboration and recording technologies for lenders, settlement agents, and counties, today announced that Title Guaranty has completed the first-ever e-recording of a Land Court document in the state of Hawaii using Simplifile’s E-recording service. The document, a mortgage, was submitted into the public record on July 26 in a process that took only minutes. PROVO, Utah, Aug. 3, 2017 (SEND2PRESS NEWSWIRE) — Simplifile, a leading provider of real estate document collaboration and recording technologies for lenders, settlement agents, and counties, announced today that 17 additional counties throughout the Midwest and Western United States have joined the Simplifile e-recording network. PROVO, Utah, July 27, 2017 (SEND2PRESS NEWSWIRE) — Simplifile, a leading provider of real estate document collaboration and recording technologies for lenders, settlement agents, and counties, today announced that Vice President of Sales Vicki DiPasquale is one of Mortgage Professional America (MPA) magazine’s 2017 Elite Women in Mortgage. PROVO, Utah, June 12, 2017 (SEND2PRESS NEWSWIRE) — Simplifile, a leading provider of real estate document collaboration and recording technologies for lenders, settlement agents, and counties, announced that Paul Clifford, president, was recognized with the 2017 October Research Award for Innovation for his leadership in establishing Simplifile’s e-recording network, along with other achievements in support of the title industry. PROVO, Utah, May 30, 2017 (SEND2PRESS NEWSWIRE) — Simplifile, a leading provider of real estate document collaboration and recording technologies for lenders, settlement agents, and counties, has expanded its industry-leading e-recording network to include 15 additional recording jurisdictions across the Western and Midwestern United States. PROVO, Utah, March 6, 2017 (SEND2PRESS NEWSWIRE) — Simplifile, a leading provider of real estate document collaboration and recording technologies for lenders, settlement agents, and counties, announced that its Collaboration and Post Closing services will be available this month through Ellie Mae’s Encompass(r) all-in-one mortgage management solution. PROVO, Utah, March 2, 2017 (SEND2PRESS NEWSWIRE) — Simplifile, a leading provider of real estate document collaboration and recording technologies for lenders, settlement agents, and counties, announced that it has been selected for HousingWire’s HW TECH100(TM) list of the most innovative technology companies in housing for the second year in a row.